The opening shot of Wim Wenders' moody color noir "The American Friend" (1977), based on Patricia Highsmith's 1974 novel "Ripley's Game," isn't anything fancy or complicated -- no intricate tracking or crane movement -- but, wow, does it announce the movie. 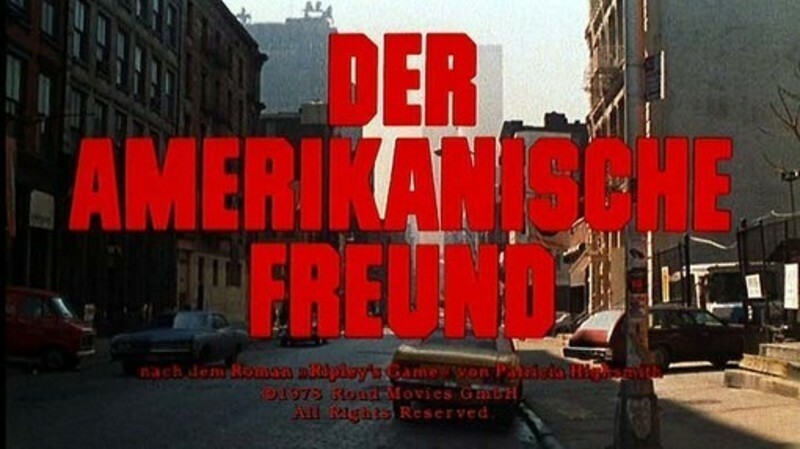 First we hear the sirens and the traffic noise behind a black screen, over which the title is immediately emblazoned in electric red-orange block letters: "DER AMERIKANISCHE FREUND." Bam! We're there, at street level on the lower West Side of Manhattan. We get a look at a few cars and a truck heading uptown, and the ghostly outlines of the World Trade Center towers that stand in the distant haze -- modern New York looming over this less imposing block of old New York. (They also provide a Roman numeral II to mark this sequel to the Scanners Opening Shot Project, which is why I chose this shot for last week's announcement of Part 2). Q. In your review of "Ice Princess," you wrote, "The surprise is that Michelle Trachtenberg seems able to skate, too. That didn't look like a double on the ice, although Variety, the show-biz bible, reports, 'Four different skaters sub for Trachtenberg in the more difficult performances.'"